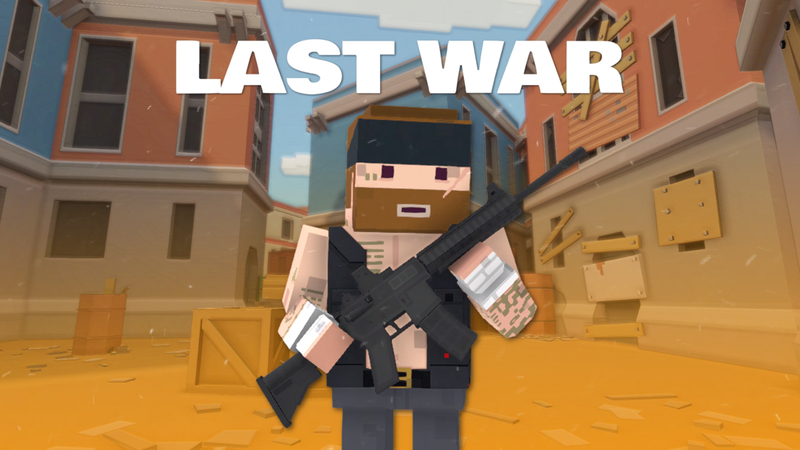 Last War is a low polygon ego shooter. It is one of the few FPS mini games with automatic shooting. Look forward to a large number of weapons, skins and other equipment. What do pixels and blocks have to do with a qualitative and funny weapon game? Quite simply! This game has a qualitative wonderful pixel style! Decisive is the tactics in Last War. Hide behind blocks to rebuild Health Points or rush straight into combat. Last War is not just a boring shooting game, no! Find out for yourself in the Super 3D Shooter. *** Multiplayer *** This game stands out due to its many possibilities and innovative game mechanisms. It takes place at a time when war has broken out and everyone is fighting for their survival. It does not matter which nations or peoples the warriors come from. The ultimate goal is to win as many trophies as possible. Play with and against players from all over the world or against friends, acquaintances or colleagues. You can create your own individual servers and join selected ones. Earn experience points in PvP to advance levels. Your experience will unlock new weapons and features. You can choose between different game modes. Last War: Apocalypse Strikes is a free shooter with co-op mode. Join the 3D War of the category weapon games and experience mega action in this PvP combat simulator.